Manuel Lafont Rapnouil is a senior policy fellow and head of the Paris office of the European Council on Foreign Relations. His topics of focus include defence and security affairs, French foreign policy, the UN, and the Middle East and North Africa. From 2011 to 2015 Lafont Rapnouil headed the Political Affairs Division of the Department for UN affairs at the French Ministry of Foreign Affairs and International Development; in this capacity, he was responsible for French foreign policy at the United Nations Security Council, including peacekeeping and sanctions. Prior to that, he held various postings within the French diplomatic service, including in Washington and at the Policy Planning Staff (Centre d’Analyse, de Prévision et de Stratégie). Lafont Rapnouil was also a rapporteur for both French White papers on Defence and National Security and on Foreign and European Policy (2008). From 2008 to 2010, he was a Visiting Fellow at the Europe Programme of the Center for Strategic and International Studies (CSIS), a Washington-based think tank. So far, this French electoral cycle is something in between a roller coaster and a demolition game. The French political system is accustomed to crushing incumbents, but this time the destruction has been more inclusive. 'Selective engagement' echoes perfectly France's preferred approach to Russia. Mark Leonard speaks with Erica Moret and Manuel Lafont Rapnouil about European sanctions policies, secondary sanctions and counter measures. The podcast was recorded on the 27 September 2018. Manuel Lafont-Rapnouil is quoted on French president Macron's strategy ahead of May's European Parliament elections. Manuel Lafont Rapnouil participated in RFI's radio show "Carrefour de l'Europe", about the relationship between Europe and the United States. 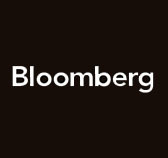 Manuel Lafont Rapnouil is quoted by Bloomberg regarding Macron's political attitude and the upcoming European elections. Manuel Lafont Rapnouil quoted by RFI regarding the relationship between France and Egypt. Manuel Lafont Rapnouil is quoted by Voice of America regarding the Aachen treaty. Manuel Lafont Rapnouil is quoted by Le Journal du Dimanche regarding the Aachen treaty. Manuel Lafont Rapnouil is quoted by Bloomberg regarding the Aachen treaty. Manuel Lafont Rapnouil is quoted by Reuters regarding the Aachen treaty. Manuel Lafont Rapnouil is quoted by The Sunday Times regarding the Aachen treaty.